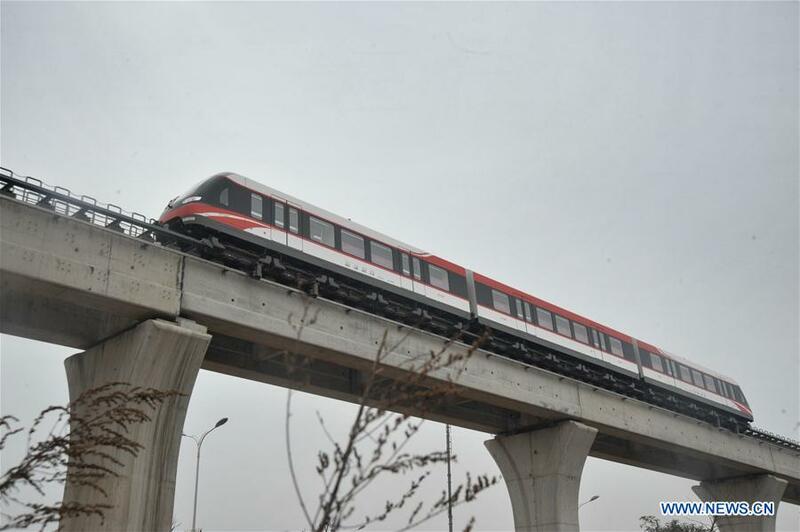 The loading test for China's first middle-low speed magnetically levitating rail is underway in Changsha, the capital city of central China's Hunan province. About 1080 sandbags are used in the loading test, each weighing 25 kilograms. The total weight imitates 363 passengers being on board. The 18.5 km track links the south railway station with Huanghua Airport in Changsha. The construction began in May 2014 with a total investment of over 4.2 billion yuan, or some 642 million US dollars. It passed the preliminary inspection and entered the stage of a pilot run at the end of 2015. All five maglev rails are now in place in Changsha and are continuously supervised on a 24 hour basis. The maglev rail is expected to test-run at the beginning of March as soon as all the debugging is completed.